Welcome to week three of “Get The Look”. Each week I will be showing different women wearing clothes from my last collection in their own way. You can see the previous posts HERE and HERE. I am loving the outfits that each woman is putting together. It is fun to see personalities come out in how people wear their clothes. 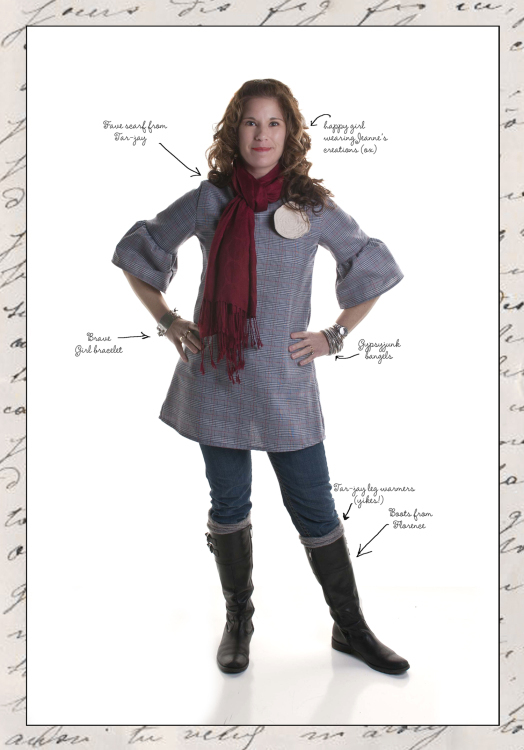 The first outfit is by Jill Hinson. Jill has fabulous style and she is an incredible decorator. 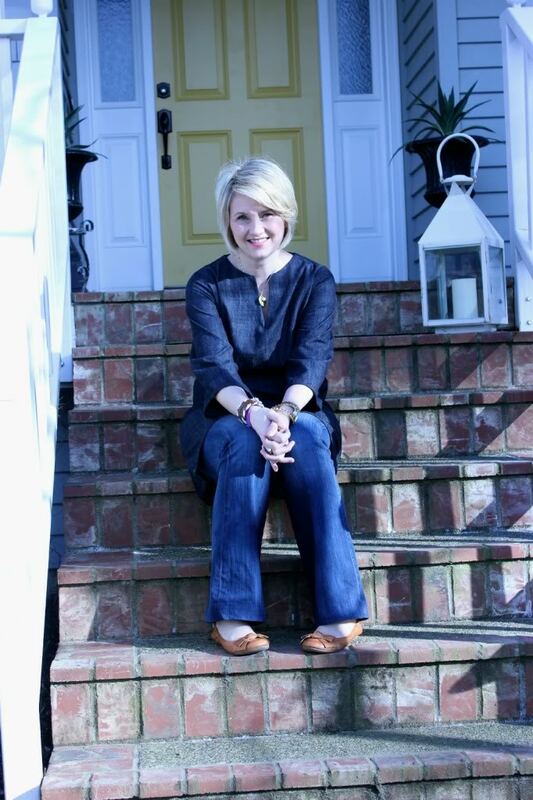 I really like how Jill layered the Audrey French tunic over denim. The next outfit is from Courtney Walsh. I really appreciate that Courtney took the time to tell a little bit about her outfits. “I took two different outfits. I did one in the dress with leggings and a belt and then I did one in something I’d go run errands in, or go get my kids from school. 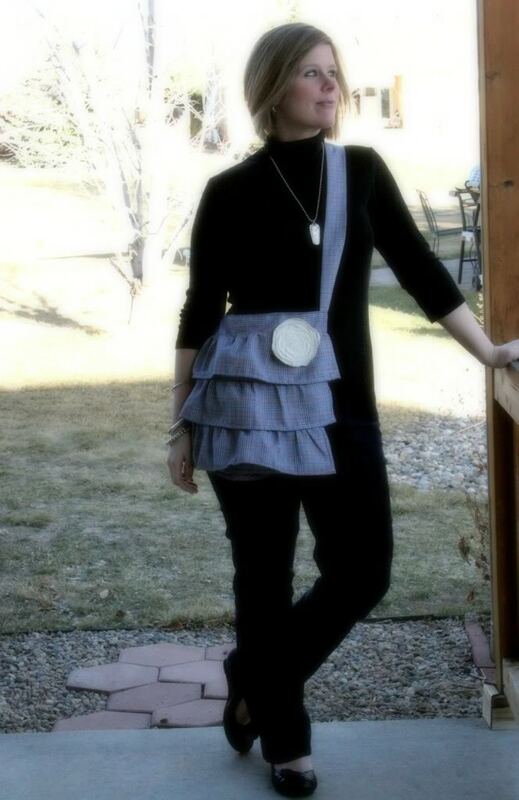 Jeans, black turtleneck, cute shoes and plain silver jewelry is 100% me…but it’s boring…so I think the ruffly purse really spices it up. It’s like, even though the foundation of my outfit is nothing special, the purse makes it so much more interesting (and cuter!) It’s like getting an adorable look without trying too hard. The dress I would wear for something a little more special or dressy. Again, I’d put it with simple silver jewelry (this bracelet was one a friend got me for my book launch and I love it! )…it’s totally understated, but I think that kind of classic look is more me.”. 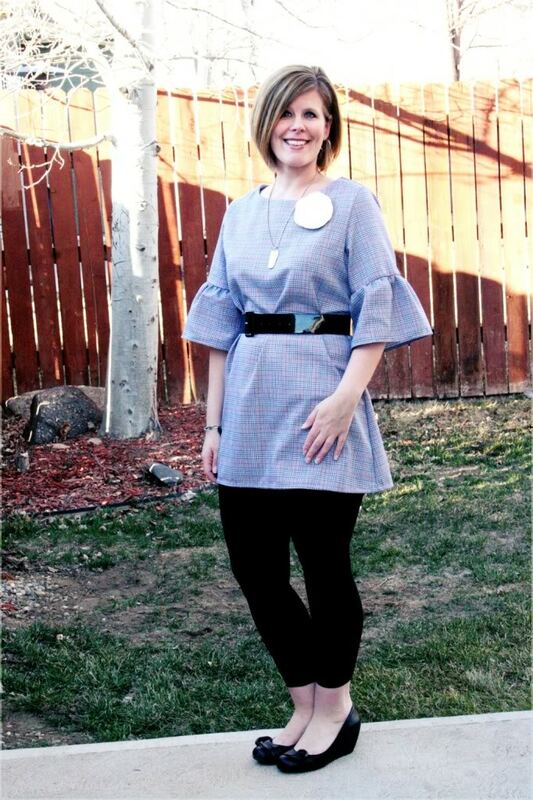 Courtney looks great belting the Louise dress/tunic and wearing it over leggings. I recently wrote about Courtney and her new novel HERE. 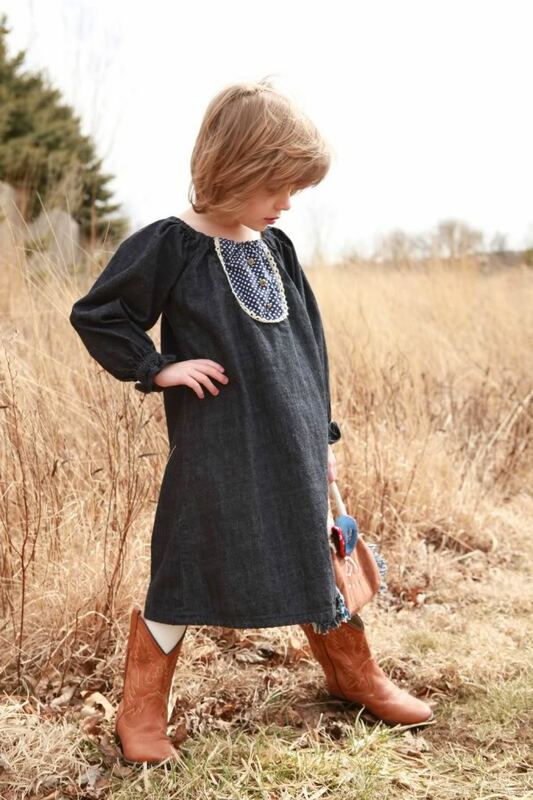 Lara Blair is next wearing the Louise dress/tunic. Can you tell she is a professional photographer? I love, love, love the leg warmers peeking up from her boots! It makes me smile to see Lara pairing the tunic with a red scarf. Whenever I see something red…I think of Lara. I am a little giddy to show you the next photos because she is so cute and LITTLE. 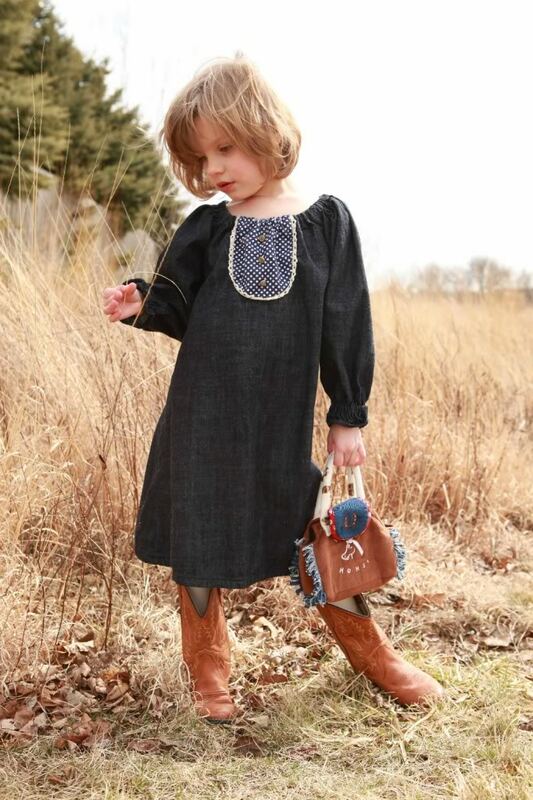 I adore seeing little ones in anything from my Little Jeanne line. 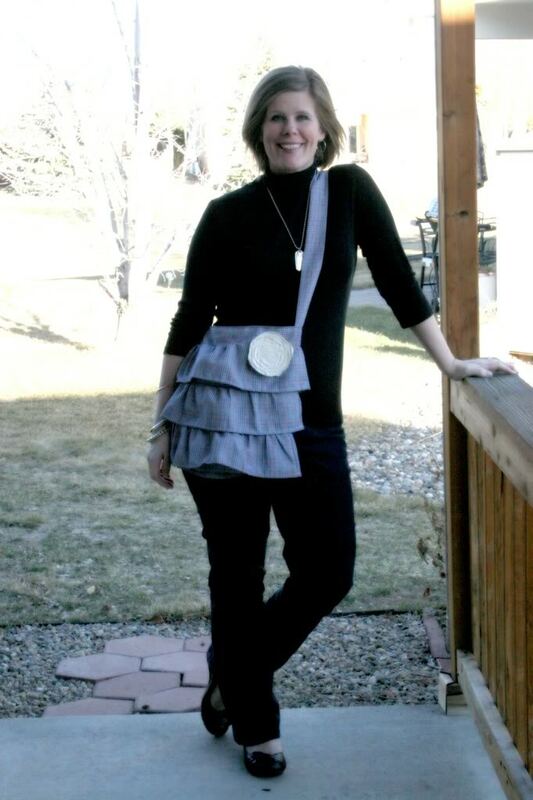 Last week I showed you the outfit put together by Tracey Leber. This week I get to show you photos of one of Tracey’s beautiful daughters. 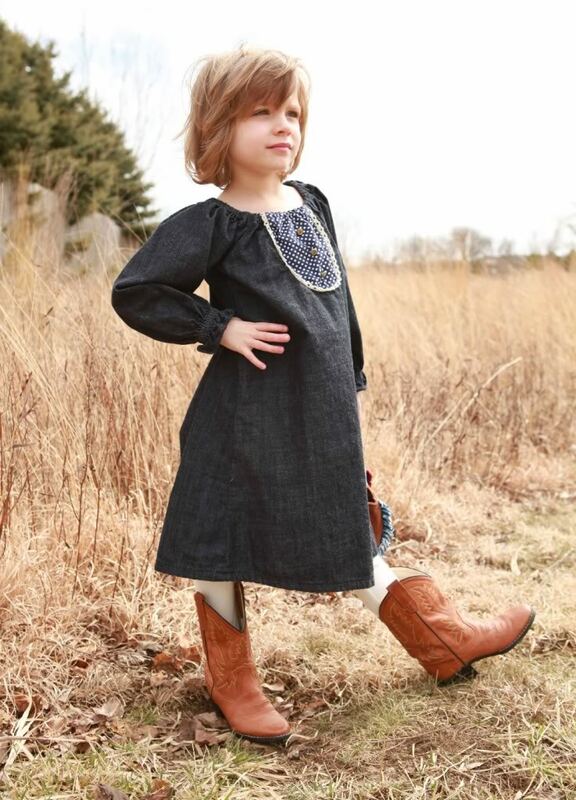 Caighton is wearing the Lila Peasant Dress. I smile every time I see these photos and her little horsey purse and cowgirl boots. Thank you Caighton for being such a beautiful model:-). Thank you to all the beautiful women that allowed me to include them in this week’s series! Please submit photos to us of YOU wearing our clothes. If we pick your photo you will win a $100 gift certificate to my shop! This week the winner is Liz Turner. 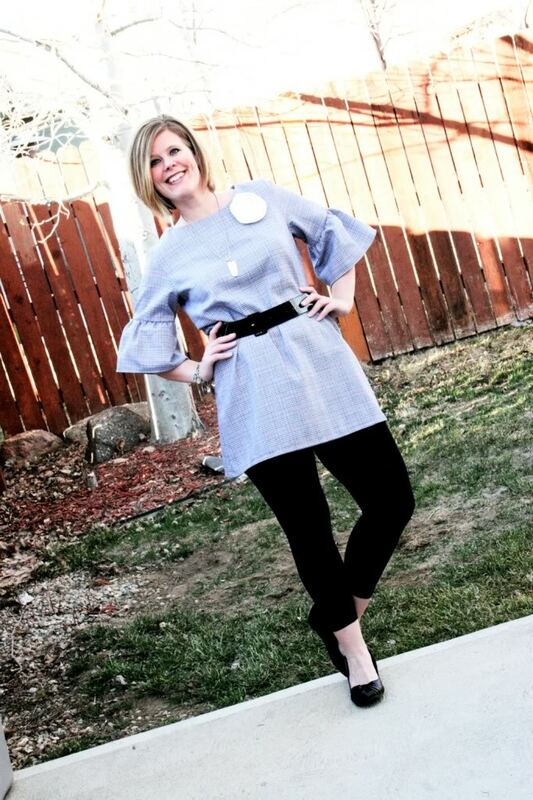 Thank you so much Liz for submitting your photo and you look gorgeous in the Luella! You can find all of the dresses seen in this post in our SHOP. Oh, for cute, what a little dolly. I love the expression on Lara’s face too. Oh my gosh. That little girl is the cutest thing ever. What gorgeous clothing. 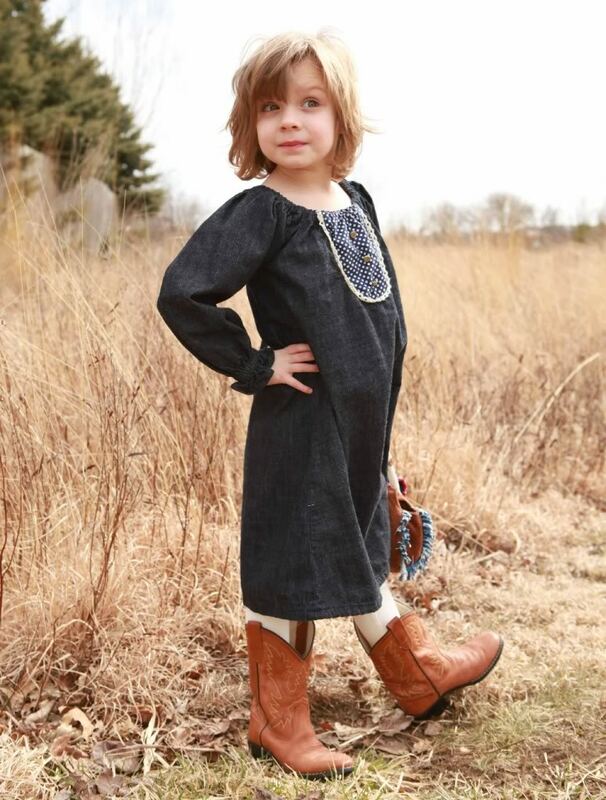 Tracey’s daughter looks precious in your adorable Lila peasant dress!! Too cute!! The other women look wonderful in their unique takes on wearing your dresses! 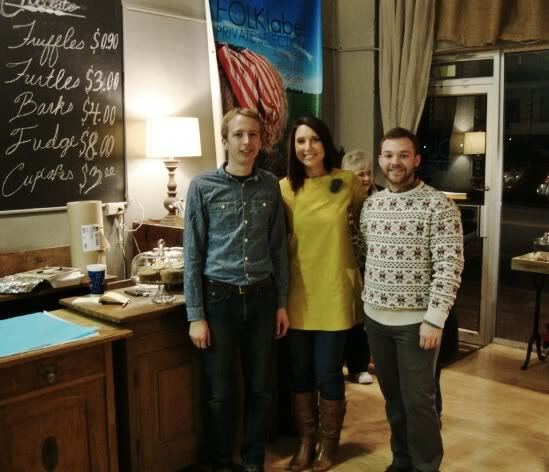 Thanks for taking the time to show us how to find our own look! Ok, it official! 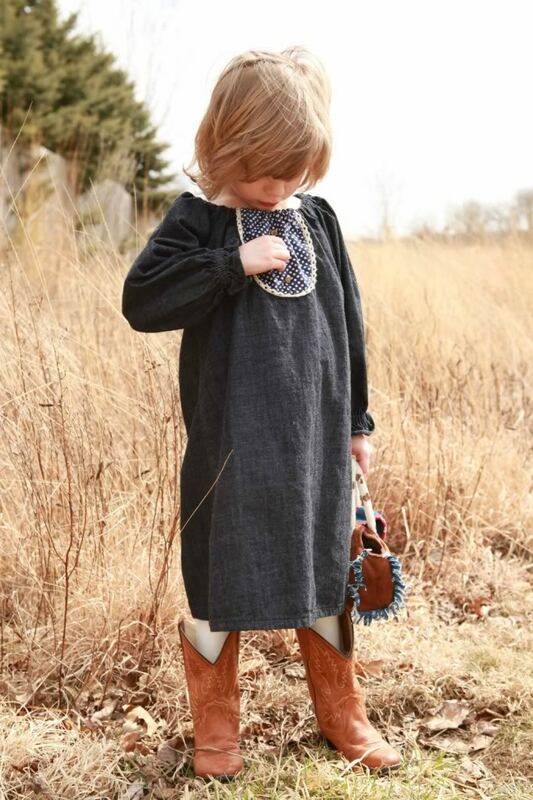 I have to get the lila peasant dress for my daughter. 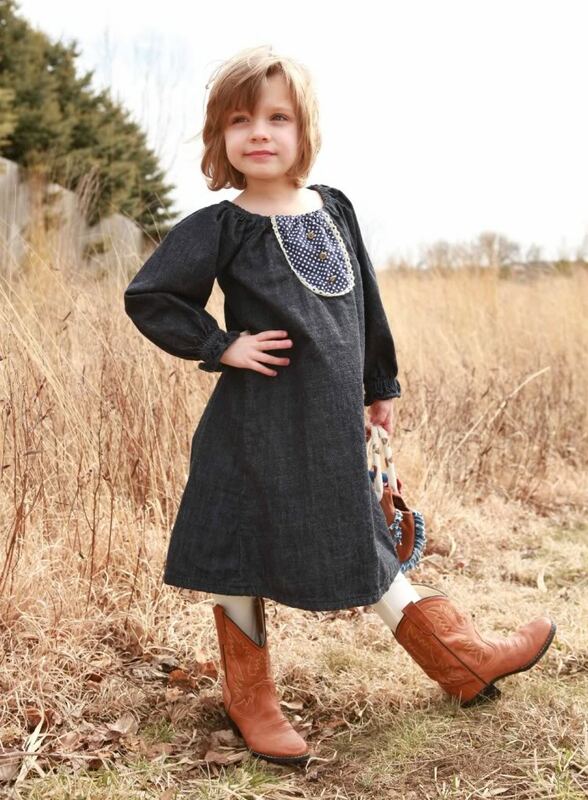 All she wears are cowgirl boots and seeing it paired with boots is adorable! Ordering soon! Thanks! jeanne, these are so fun! 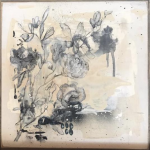 each style post is full of wonderful ideas. 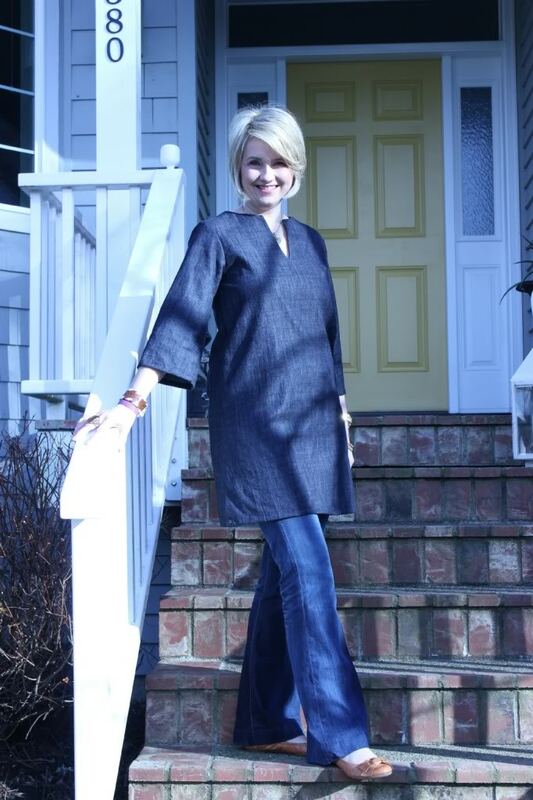 i am really loving the jeans under the tunic! that little girl is adorable!